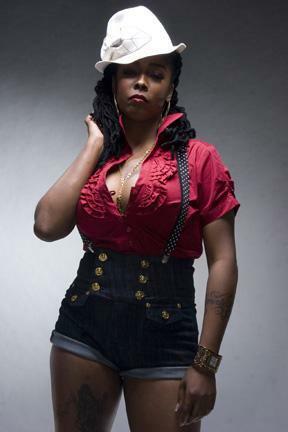 Khia Shamone Chambers was born on the 8th November 1977 in Philadelphia, Pennsylvania USA, and as just Khia is a rap musician, songwriter and record producer best known for her 2002 hit single “My Neck, My Back (Lick It)” from her debut album “Thug Misses”. Have you ever wondered how much wealth this multi-faceted musician has accumulated so far? How rich Khia is? According to sources, it is estimated that the total size of Khia’s net worth, as of mid-2016, is $500,000 including her own record label Thug Misses Entertainment. It has all been acquired through her music career that has been active since 2001. Khia was raised in Germantown, Philadelphia, but at the age of 11 she transferred to Tampa, Florida with her family, where she attended Dowdell Middle School and later Hillsborough High School. After being expelled from Hillsborough, she continued her education in an alternative school, before moving to Hawaii with the father of her first child. Before she started her music career, Khia worked as a bartender at Tampa’s Club XS. This engagement provided the basis for her net worth. “Thug Misses”, Khia’s debut album, came out in 2001 under the label of Dirty Down-Artemis Records, but gained the wider audience later, after it was re-released by Divine Records in 2002. Among the 16 songs that the album contained, one became a hit – single, as “My Neck, My Back (Lick It)” peaked at No.33 of the US Billboard 200 and No.12 on the Hot Rap Tracks, as well as No.1 on the US Billboard Top Heatseekers; it also featured on the Fox’s TV series Dark Angel soundtrack. When you take into consideration that she wrote the song in just 15 minutes, as she publically acknowledged, it is quite a huge success, being certified gold with over 610,000 copies sold. This is when Khia’s popularity started growing as well as her net worth. Khia’s second album, named “Street Preacher” was supposed to hit the charts in 2003, but for unknown reasons was never released, so “Gangstress” was released as her second album in 2006. Produced and released by her independently-owned Thug Misses Entertainment label, the album peaked at No.67 on Billboard’s R&B Chart. Subsequently, her third album called “Nasti Muzik” was released in 2008. These achievements certainly helped Khia to add a sum to the overall amount of her net worth. These relative successes were followed by two more albums – “MotorMouf aka Khia Shamone” (2012) and “Love Locs” (2014.) Khia’s sixth studio album is supposed to hit the charts in July 2016, as it has been officially announced, under the name “QueenDomCum”, and if it is to be judged by her previous releases, it will also significantly increase Khia’s overall net worth. Throughout her music career, Khia has been collaborating with other stars in the music industry such as Tampa Tony, Gucci Mane as well as Trick Daddy in his single “Jump On It” from his 2004 album “Thug Matrimony: Married to the Streets”. The 2006 hit single “So Excited” from Janet Jackson’s ninth studio album, “20 Y.O.”, featuring Khia was a huge success and took No.1 on the Hot Dance Club Party chart. Apart from her music career, Khia has also published two books so far, both in 2014, under the names “Love Yourself Hoe” and “Ignoring the Signs”, no doubt adding something to her net worth. When it comes to her personal life, it has been acknowledged that Khia gave birth to her first child at the age of just 14, in 1991. A year after her eponymous daughter was born, in 1992, Khia moved to Hawaii where child’s father was stationed and soon after, she had her second child – a son. She currently resides in Atlanta, Georgia, and is reported to be single. Albums "Thug Misses" (2001), "Gangstress" (2006), "Nasti Muzik" (2008), "MotorMouf aka Khia Shamone" (2012), "Love Locs" (2014), "QueenDomCum"